As you begin to prepare for the 2019 Horsebowl and Hippology competition season, just a few reminders about resources. We made every effort to review the content and proofread as we created the publication, however, we’ve spotted a few things that need to be corrected. Those corrections range from minor typos to changes in wording. We’re working on a web page to list all the corrections and date corrected but here are the most important corrections. 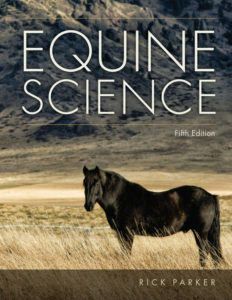 5th edition of Equine Science by Parker will be a new resource for mixed and senior as of January 1, 2019. As of January 1, 2018, the AYHC Leader’s Manual is no longer a resource and as of January 1, 2019, The Horse by Evans is no longer a recognized resource. Equine Science by Parker has many different editions, so be sure you are selecting the 5th edition when you order your new resource. To order online, you can contact Cengage Learning.